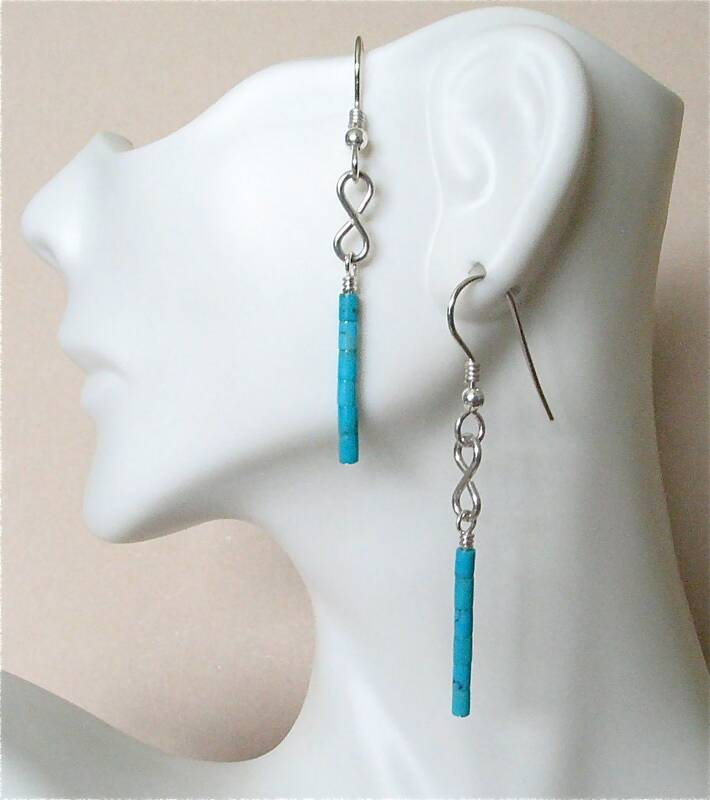 Classic southwest style turquoise heishi and sterling silver earrings. The tiny 2mm heishi beads are turquoise from the Kingman mine here in Arizona. The sterling silver ear wires are hand made, with a figure 8 sterling silver connector between the beads and the ear wire. Length from the top of the ear wires is 2 inches. Please take a look at the last 2 photos where I have placed a dime and a ruler next to the earrings so you can see how tiny these heishi beads are.